In this lesson, we will look at triangle constructions as we focus on two very important theorems regarding sides and angles. We can use this theorem to determine if the following lengths are legs of triangles. *Strategy – Choose the smallest two of the three sides and add them together. Then, compare that sum to the third side. 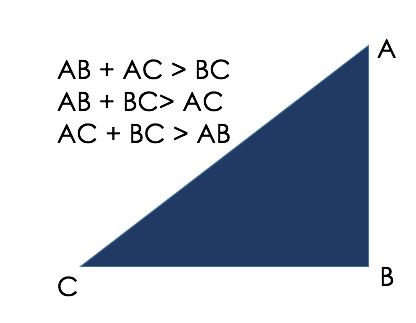 Since the sum is not greater than the third side, this is NOT a triangle. Sine the sum IS greater than the third side, this is a triangle. 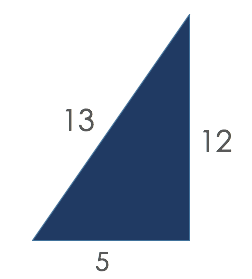 A triangle has side lengths of 6 and 12; what are the possible lengths of the third side? 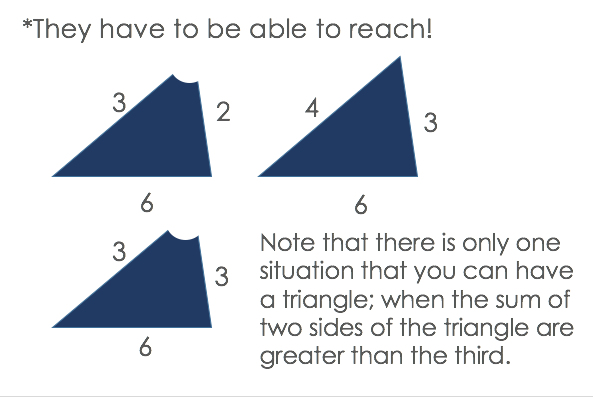 Here are two more Triangle Theorems involving side lengths of triangles. then the angle opposite the longer side is the larger angle. then the side opposite the larger angle is the longer side. Watch this video to see examples of what is behind the Triangle Inequality Theorem. the sum of the angles in any triangle is 180°. No triangles can have two obtuse angles. Is it possible to construct a triangle with angles measuring 61°, 33°, and 86°? Use the Triangle Angle Sum Theorem to test these angle measures. Add the angle measures: 61 + 33 + 86 = 180. 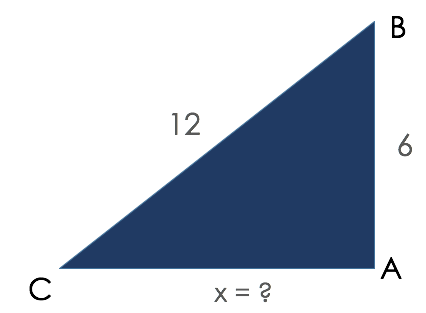 A triangle with these measures is possible. Are these a triangle or not?